We visited the schools in April 2011. Welcome to Milan, the capital of business, fashion and design. Milan is the second biggest town in Italy, and the most economically developed. Here you can meet people from every region of Italy and from every country of the world. The city is busy day and night. It offers a wide range of restaurants, discotheques, cinemas, bars, charming cafes with theatre-like furniture. "La Scala", the most famous opera house in the world, the Duomo and a lot of other important sights awaits you. More: you can easily reach the Italian and Swiss mountains to ski in wintertime, the Italian seaside in Liguria or the "Cote d'Azur" in France during the summertime. Milan is perfectly connected by airplanes, trains and motorways to the most important destinations in Europe and in the world. The Italian courses take place in the IH City Centre premises, situated in a quiet pedestrian square in the elegant surroundings of the city centre. The Duomo Cathedral, shops, restaurants and cafés are just a few minutes walk away. Since 1982, our objective has been to meet the language learning needs of every student, providing the highest standards of tuition in a friendly, relaxed atmosphere. We offer a professional, yet personal approach to language learning. We are very proud to announce the opening of our Executive Centre. Sister school of IH Milan-City Centre, it is situated in the exclusive location of Piazza Diaz, only minutes away from the Duomo Cathderal, La Scala Opera House and La Galleria. It’s a learning centre exclusively designed for executive use. It was completely refurbished to the highest standards and its facilities included 6 classrooms with flat tv screes, audio and video facilities, satellite and wi-fi connection. It is situated within short walking distance from IH Milano-City Centre. Three-Year Courses are post-secondary school courses with obligatory attendance, designed for a limited number of students who want to take their talent and creativity and transform them into a profession, as well as to acquire knowledge as a means of constructing the personal, professional and social project for their own lives. The training aims at achieving three basic objectives: knowledge of technologies, of materials and of design culture, the ability to understand the market and its requirements and the ability to communicate the qualities of design. The first year is devoted to acquiring the basic methodology necessary for students to adopt the right approach to creative work. In the years that follow, there is a more intense focus on design activities developed on the base of real client briefs, supported by the guidance of lecturers and by the supervision of consultants in the field in question. The well-established relationship between IED and the working world enables students to take part in events, seminars and competitions: often real working experience that culminates in dissertation projects. This stimulates students to acquire critical skills, to operate independently, to make decisions and to relate to the client, just as they would do in their real professional careers. These advanced study program with flexible curricula are designed to cater for the increasing complexity of the labour market. Held in English, the courses in this one-year full immersion are designed to enable students to experiment and pick up the basic tools of design. Theory lessons are accompanied by creative workshops, visits to firms, trade fairs and industrial events, meetings with practising professionals. 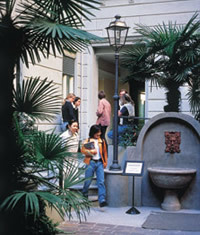 The result is an effective concentrate of experiences, ideal above all for foreign students who want to invest a limited amount of time in acquiring key skills for building their professional profiles and gaining concrete experiences in close contact with the Made in Italy system, without ruling out the possibility of continuing their studies later. If you have already started work and are interesting in broadening your horizons of expertise and giving your CV a more competitive edge, then this is an ideal formula for you. 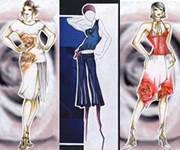 Every year, during June and July, IED offers intermediate and advanced courses in the fields of Fashion, Design and Visual Arts. These courses are held in English and generally last from three to four weeks. They are a perfect solution for those who desire to combine their spare time during holidays with a new stimulating experience. Following a precise methodology and guided by professors, who are all professionals from the chosen field, students will experience the development of a project specific to their interests. These are typically very flexible modular courses with diversified didactic contents: features that enable personal curricula to be organised to suit each individual’s specific requirements. Attendance from a minimum of one to a maximum of five days a week, duration from one to nine months, the restricted numbers of students and the fact that the lecturers are all practising professionals are just some of these courses’ distinctive traits. The topics tackled may be dealt with differently from one location to another in terms of formula, duration and depth. The Scuola Leonardo da Vinci is located inside a student campus in the Navigli zone, a meeting place for artists with numerous cafes and bars. It is well connected to the city center by subway and by bus. All classrooms have air conditioning, and the campus boasts a park and a bar. Recently, in the campus a canteen has been opened, where students can enjoy a complete meal, take a coffee or relax in a design space. The secretariat is located inside the main building. There you also will find the library and the Internet Point where you may surf for free in the Internet or connect your own laptop for free thanks to a wireless network. - Language and Culture Course "Italy today"
Founded in 2005, the very new language school of the Scuola Leonardo da Vinci group. 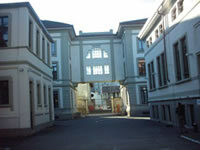 The first school was founded in 1977 - we have years of experience and are specialized in teaching Italian in Italy. Our Italian School in Milan has obtained the International quality assurance Certificate ISO 9001:2000, as a quality school of Italian language for foreigners, and has regular inspections to ensure that high standards are maintained. School located in the city center inside a student campus. Free Internet access for our students. Wi-Fi Zone - Area of Wireless Internet. Friendly and helpful staff that give personal attention to each student. Italian at every level, all year round. After 1, 3, 4 or 6 months the AIL-exam "Firenze" (Accademia Italiana di Lingua) DELI/DILI/DILC/DALI/DALC can be taken. A whole range of activities offered for students to gain insight into the Italian culture. Variety of students from over 50 countries study at our Scuola Leonardo da Vinci school. One of the free services offered by our schools is finding suitable accommodation for our students. Accommodation is regularly checked by our schools. LINGUADUE since 1990 has been offering international students the opportunity to learn Italian in Milan, in a friendly and thoroughly enjoyable atmosphere. 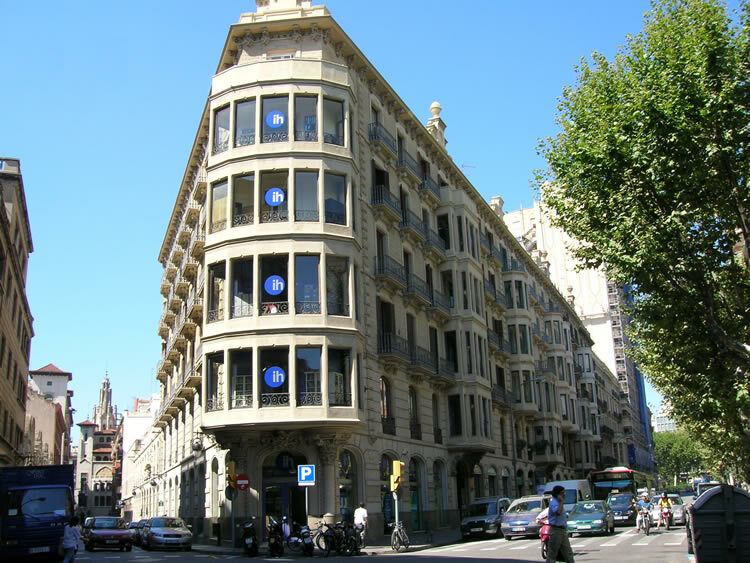 The school is in an excellent location in the centre of Milan in a well-known street in the commercial area, Corso Buenos Aires. The Italian language courses organized by Linguadue are attended by international students from more than 50 different countries, mostly interested in design, fashion, music and business. Linguadue offers the possibility to study Italian language for their profession, their further studies, for everyday situations. 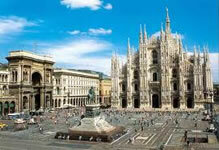 Learn Italian in Milan, the style capital of Italy but also of culture, fashion, design and technology. Linguaviva Italian language schools have been designed to ensure that the specific needs of each individual are met. Linguadue is authorized by the Italian Ministry of Education to teach Italian language and culture to international students. Our school has obtained the International quality assurance ISO 9001:2000 and is member of ASILS, the professional Association of Schools of Italian as Second Language which guarantees quality to all students. Linguadue is member of the most important International organizations among which IALC – an association for accredited independent language schools worldwide, whose quality is guaranteed through fixed standards, regular inspection, a code of ethics and a philosophy of continuous improvement. LINGUAVIVA Group schools were voted Best Italian Language School in 2006,2009 and 2010 and were shortlisted for the same prestigious award in 2007 and 2008. The LTM Star Awards are voted for by agents from all over the world and recognise excellence in the courses and services provided to our students.